At Armstrong Miller, you can pick from a wide range of replacement DW12BTED4 engines for your Land Rover. We have finest quality Remanufactured, Reconditioned and Low Mileage Used DW12BTED4 engines. You can choose the one that suits your needs and budget. Armstrong Miller is the home of affordable and quality replacement engines for all Land Rover models including DW12BTED4.All the engines supplied by us are available at cheapest online prices. You can compare the prices of different types of engines for your vehicle as well. We will be quick to provide you free price quotes. If you are looking for a reliable reconditioned, remanufactured or used engine for your Land Rover, look no further than Armstrong Miller. 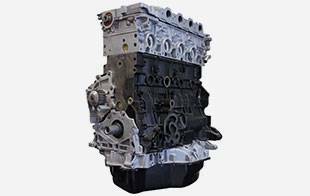 We have built a reputation for providing highest quality Land Rover engines at lowest online rates.